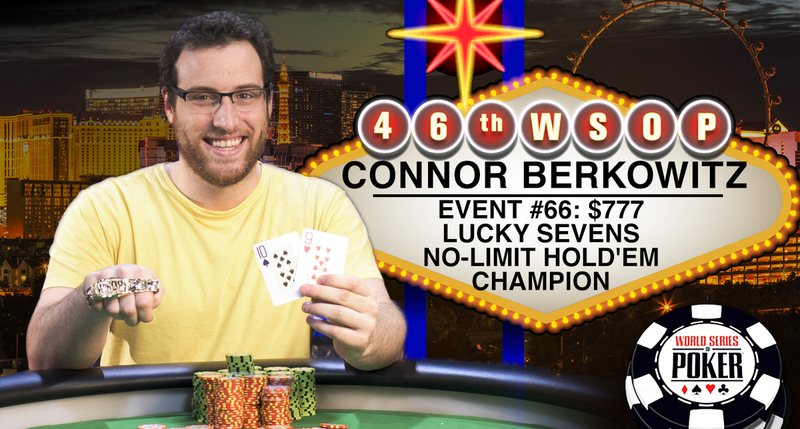 Connor Berkowitz won the penultimate event at this year’s World Series of Poker, the Lucky Sevens Event and in the process took home $487,784. The event drew a field of 4,422 players creating a prize pool of $3,095,400. This was the first ever Lucky Sevens Event at the WSOP and the top 468 players got paid. This was Berkowitz’s first ever WSOP cash and only his second tournament played.